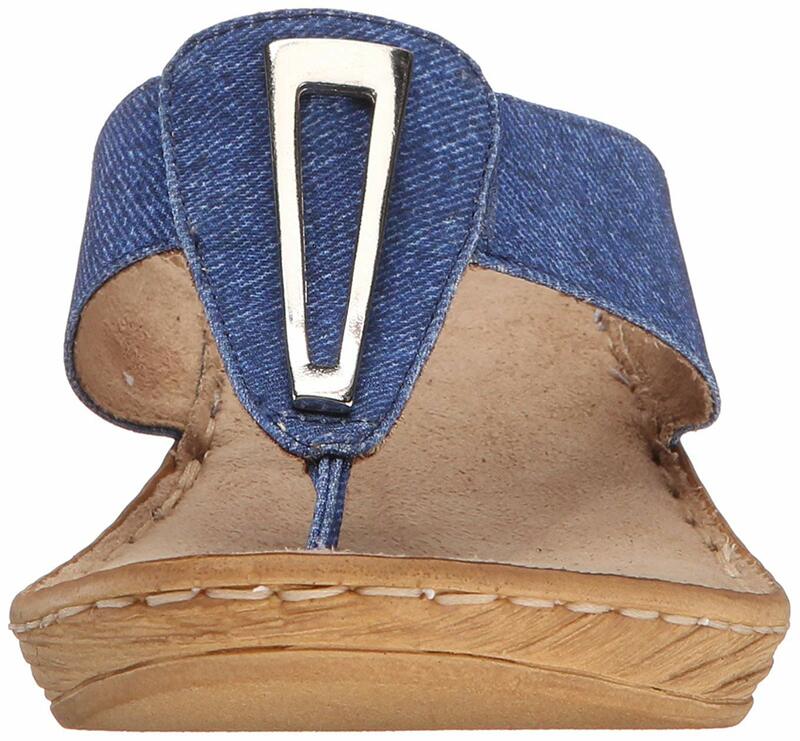 Made in Italy, thong with an ornament, soft footbed, light weight construction Bella Vita shoes has a full collection of casual, wear to work classic shoes. Bella Vita timeless footwear collection includes everyday casual sandals, polished pumps and closed or open-toe wedges to match your work attire perfectly. Here you will findheeled sandals that are perfect to wear from day to evening and classic ankle boots can be worn year round with pants or dresses. You will also find Bella Vita's comfortablemoccasins that look amazing with work blazers for casual days at the office or with jeans and a t-shirt for a casual and chic look. You will fall in love with Bella Vita's leather ballerina flats and printed ballerina flats to complement your every day outfits. / Buy with confidence! Bella Vita Womens footwear would make a great addition to your shoe collection!